This is the first manifestation of a segment me and the Big man like to call "The Jam Behind the Jam." Its a spot where we pay tribute to the legendary roots of music, the artists whose own jams are so powerful and awe inspiring that they in turn spark the creation of other jams. That being said there is truly only one place to start. Hip hop is a culture that was born out of an oceans worth of musical influences: jazz, funk, soul, blues, and so many more that were woven into the breaks of early hip hop. As both technology and rap stylings progressed, the art of sampling parts of songs to be included cohesively on the track became a staple of the hip hop genre. While rap tracks have sampled everything from Enya to Earth, Wind, and Fire, no artist has been sampled as much as the Godfather of Soul, Mr. James Brown. But beyond this, one key song was laid down in that fateful summer of 1969 that would become the most recognized beat in all of hip hop: The Funky Drummer. It was that day that drummer Clyde Stubblefield dropped a beat that was so funky, they had to name the entire track after it. So funky they had to throw in a "bonus beat reprise" of the track at the end of the side. 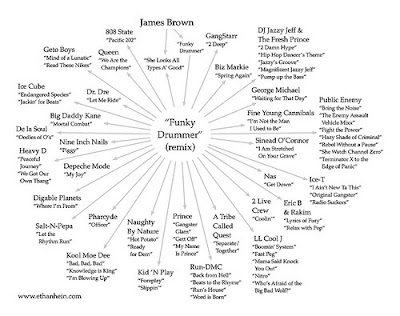 So funky that it has become the most sampled track in rap history. 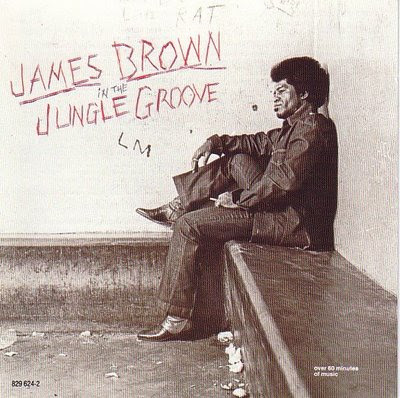 Check the stats: http://www.xampled.com/blog/sampled-from/funky-drummer-james-brown/ its not even close. You want a chart? ...there you go. The song has been used so many times that it is ingrained in what hip hop is and will continue to be. The beat creates a standoff: energy, emotion, and intensity; you could see Muhammad Ali steppin into the ring to the beat, ready to square off. In this same way hip hop tracks have been using it to tip off battles or kick off any track since day 1. The whole song is in fact a jam and a half, but if you want to kick right to the beat you can skip to 5:30 or just check out the reprise. Enjoy.